We hope that everyone had a Happy Thanksgiving. The abundant supply of food in the U.S. is the envy of the world, and at Thanksgiving, we bring out the best: turkey, dressing, mashed potatoes, green beans, cranberry sauce. This classic meal has been looked forward to by generations of Americans. But this year, we have even more to be thankful for. For those in the self-storage industry – or thinking about investing in it – we are seeing some very positive signals regarding rents and values, and that may rival our favorite turkey dinner for once. Look for some very positive news on the industry in 2014. And we also want to wish everyone a Merry Christmas and a Happy New Year! 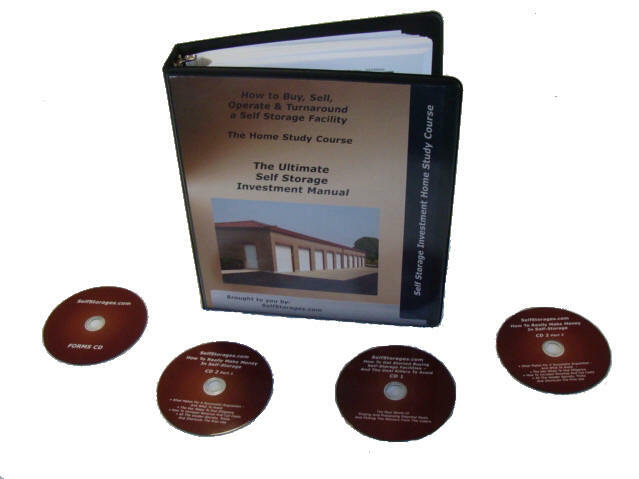 As the baby boomers (those born between 1946 and 1964) reach retirement age, many move into smaller housing units, to harvest the equity in their homes, save money on monthly expenses, and simply because they do not need that much room. As a by-product of downsizing, they then must do something with their household goods. 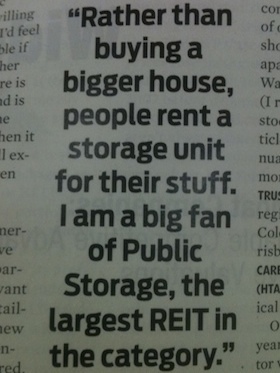 And for many of the “boomers” – if not most – the solution comes in the form of renting a self-storage unit. For only around $100 per month, they can rent a 10’ x 10’ space and the problem completely goes away as far as deciding what to save and what to discard, and also keeps the option open to buying or renting a bigger house again the future. The reason that 75% of all the self-storage space in the world is in the U.S. is that Americans have long been the world leader in buying things. Our rampant materialism has fueled the U.S. economy for generations, and has led to the consistent need to house our collections. If you look just at holiday season purchases, you’ll find the typical American family has storage needs for their artificial tree, ornaments, yard art, Santa’s for every table top, Christmas lights, and a host of other items. There is no slow-down in this spending spree on the horizon – it’s literally become a part of our culture. It’s not just baby boomers who are finding displacement a part of life. People of all ages are finding continual uncertainty in their housing, and this is causing them to store their goods while they are in transition. Whether they are moving in search of a new job, or the result of eviction or foreclosure, or because they need to move up or down in the housing market, the net effect is the same: they need someplace to keep their stuff. Don’t forget that the origins of the storage industry began in Britain, in which it was standard fare for military personnel to leave their home contents in trust to banks when they went overseas – the industry has always flourished in times of housing instability. Instead of the poor marketing of moms & pops in the 1970s, the modern self-storage industry enjoys professional-grade advertising, promotions and appearance. The typical self-storage facility of today has terrific signage, internet presence, targeted specials, secured fencing, a proactive on-site manager and all the bells and whistles of a professional enterprise. This has been giving many people, who would not have considered this option in years past, the confidence to rent a unit. And the caliber of play improves every year. 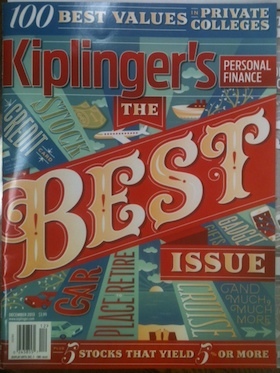 The Kiplinger’s Magazine article on self-storage put a positive light on the future of the industry. 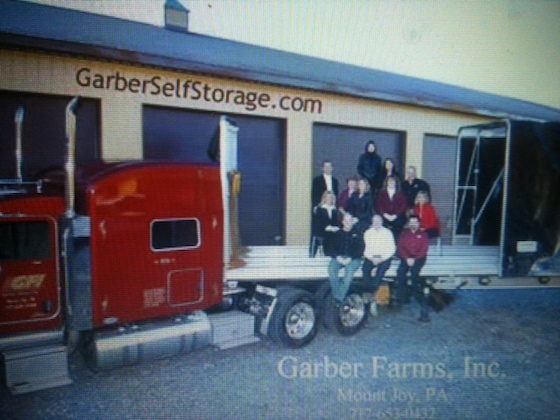 But the reasons that self-storage is flourishing are even more numerous than described in the article. While owning shares in a self-storage REIT such as Public Storage may be a great idea, an even better idea may be to cut out the middleman and own the self-storage facility yourself. More and more operators these days are using the holidays as a way to market their units. What better tie-in than a Christmas Card to your tenants that spreads the holiday spirit and, at the same time, solidifies your position as the customer’s official self-storage provider and reminds them that there’s a place they can store all those new Christmas presents? You can make cards like this very inexpensively at Walmart – based on a basic photo card format – and the end result is in both good taste and good marketing.